Wouldn't it be wonderful to welcome your family and friends for the holidays — and all year-round — with freshly baked bread? 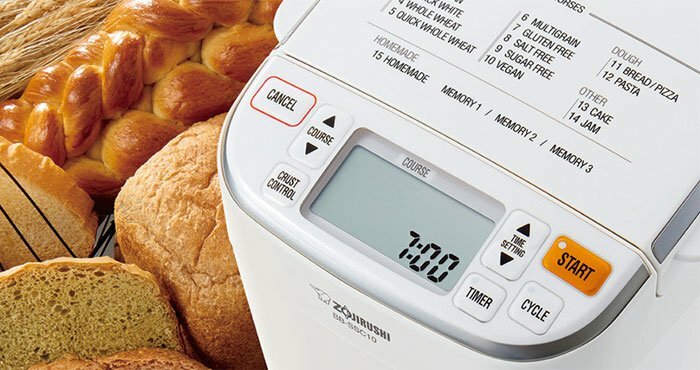 It couldn't be easier to do than with the Zojirushi Home Bakery Maestro Breadmaker. Simply add your chosen ingredients, select your desired bread bread mode and hit the start button. In as little as 2.5 hours you can be enjoying your 1 lb. loaf, hot out of the oven. In addition to bread, the Zojirushi will make cakes, pizza dough and even jam. The Zojirushi makes a great splurge gift for anyone who loves freshly baked goods but doesn't have the time to do all the kneading, rising and baking by hand. It's available for $329.95 on Amazon. Or enter our Zojirushi Breadmaker giveaway for a chance to win one of your own! We will randomly select one(1) winner from the entries. No purchase is necessary to win. Total ARV $390. The giveaway will end at 11:59pm on December 8, 2017. Void where prohibited. U.S. residents 18+ only. Click here for the full rules.